The highly anticipated sequel to Mirror’s Edge may actually be in development, Although the game was previously pitched to EA and declined, all hope is not lost. It appears that the game is actually in development for the next generation of Microsoft’s hardware. 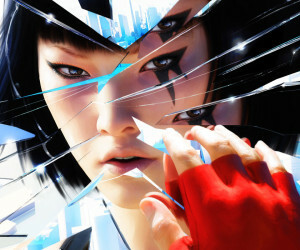 Dual Pixels’ Geno has stated that Mirror’s Edge 2 is using the Frostbyte 2 engine and is taking the engine to its limit. Mirror’s Edge 2 is suggested to be a showcase for the next generation of Xbox and Kinect, as it will track every limb of your body, right the way down to each finger. Faith, the protagonist of the original Mirror’s Edge will return, except now you will control her through your own body rather than a controller, including head tracking controls. The game will also see a change in setting, rather than the city, this time you will be in an abandoned forest environment. The next Kinect will apparently use a physical controller too, which will be part of the main controller of the next Xbox. According to the rumors, the next Xbox’s controller will have a detachable analog stick and 3-inch HD touchscreen which will work in tandem with the next Kinect. Accordingly, Mirror’s Edge 2 will use the touchscreen and analog stick in collaboration with the next Kinect, But how it will be used is purely speculation. Mirror’s Edge 2 isn’t expected to appear at this years E3, with the most likely window being E3 2013. The Nextbox and Kinect 2 are also expected to make an appearance at E3 2013, rather than this year. However this is all speculation, Microsoft may well take the jump and make an announcement this year.